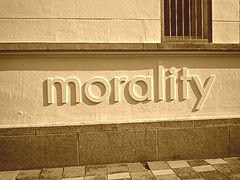 The Corsair Philosopher: How Can Atheists Have Morality Without God? All organisms demonstrate a tendency to avoid harm. Even amoeba will avoid aversive stimuli. This is one of the basic premises of behavioral psychology's operant conditioning. Behaviors that yield pleasing results tend to be repeated. Behaviors that yield aversive results tend to be avoided. Amoebas have no need for morality, only self-preservation. Unlike amoeba, humans are social animals requiring the assistance of other humans in order to survive in the natural environment. For humans, self-preservation is interdependent with preservation of "the tribe." Other social animals like wolves, lions, and buffalo will often behave in ways that promote the health and safety of the group over the health and safety of the individual. These animals engage in what might be considered benevolent behaviors even without the benefit of higher cognitive functioning. To my knowledge, humans are the only species capable of higher order empathy. Empathy does not mean sympathy. Many species demonstrate sympathy. For our purposes, we will define sympathy as feeling sad when one observes the suffering of others. Sympathy is often a very natural response and requires no effort. Conversely, higher order empathy is a complex skill requiring development and practice. We will define higher order empathy as the cognitive attempt to deeply understand an issue from another's viewpoint. With huge effort, it is possible to put our collective ego aside and on some level understand the world from another person's perspective. Babies have no morality. Morality is a learned behavior. Feral child research has shown that children who are not exposed to other humans do not develop a moral sense. Research on feral children reveals that empathy is a learned behavior. Proficiency in higher order empathy demands levels of maturity, commitment, and metacognition few attempt to achieve. If humans developed and regularly employed higher order empathy skills, conflict with each other and the destruction of other species could be virtually eliminated. We begin to socialize very young children by rewarding culturally acceptable behaviors and punishing culturally unacceptable behaviors. The moral rules for a culture will come from external sources like parents, teachers, religious texts, laws, etc. At first, children will follow the rules whenever a rule enforcer is watching, but will break the rules when they feel there will be no consequences. Adults who remain at this level of moral development are categorized as sociopaths. Older children will internalize the rules and will self-regulate their behavior, because they wish to be a “good boy/girl.” This is the stage of moral development where much of humanity remains. Christian doctrine requires adherents to progress no further. At this level one can easily navigate one’s social environment. However, individuals at this level of moral development are merely reflecting the culture in which they were raised. So, an individual reared in Nazi Germany would feel perfectly moral in following the norms of that culture. In the 1800s, a rural Southerner in the US might feel perfectly moral as he/she enslaves another human being. Modern Christians might feel perfectly moral in the mistreatment of homosexuals. People at the highest level of moral development will test the rules of their respective cultures against certain universal litmus’ such as “justice, ... reciprocity and equality of human rights, and... respect for the dignity of human beings as individual persons.”  Religious dogma can be an obstacle to achieving the highest level of moral development, when the moral code must be accepted and never challenged. People at the highest level morally transcend time and place and achieve a moral sense that can override cultural programming. "Feral Children and Clever Animals: Reflections on Human Nature." Choice Reviews Online 31.08 (1994): 31-4641. Web. "Kohlberg - Moral Development | Simply Psychology." Kohlberg - Moral Development | Simply Psychology. N.p., n.d. Web. 11 Feb. 2015. "TheTheoryofMoralDevelopment." Docstoc.com. N.p., n.d. Web. 02 Mar. 2015. I agree that empathy is an important factor in our moral sense, but I think Rebecca Newberger Goldstein is also right when she argues that empathy is a "feeble instrument for making moral progress" and that reason is what provides the "push that widens our circle of empathy." I just purchased Michael Shermer's new book ('The Moral Arc') to see how well he makes this case. I also think Pinker is on to something when he argues that "not all problems have to have a moralistic solution." I look forward to checking out your references. Interesting stuff. I'm going to go in today and cite the references I used for this article. Many thanks for your comments SketicalPoet! Good read! Keep it up. 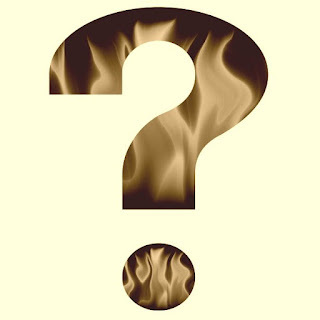 Atheist or Agnostic or Neither or Both?